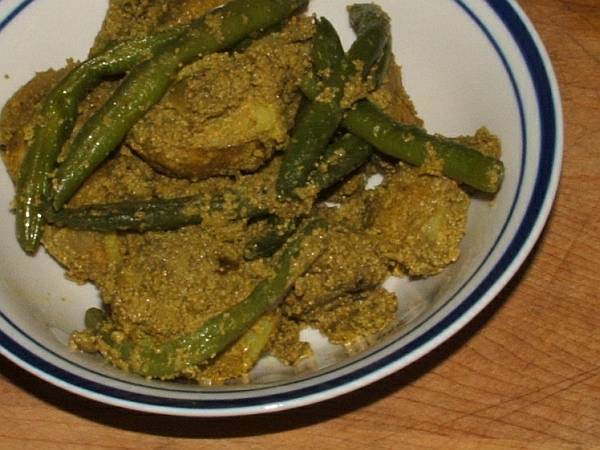 This Bengali-style dish of posta (white poppy seeds), green beans and potatoes may not look all that pretty but it tastes fantastic. 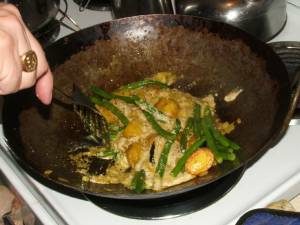 It is the perfect complement to rice, dahl and fish curry. 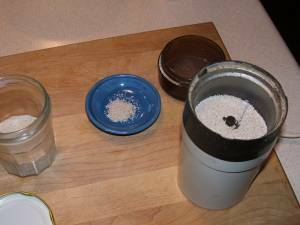 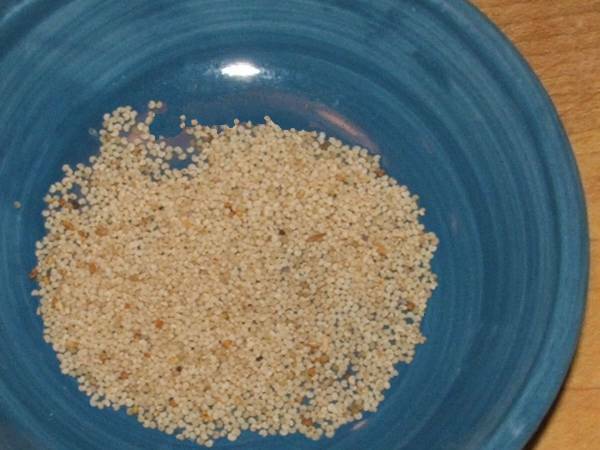 Preparation: Grind the posta; soak poppyseeds in enough water to cover for 2 to 6 (or so) hours. 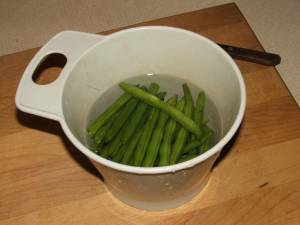 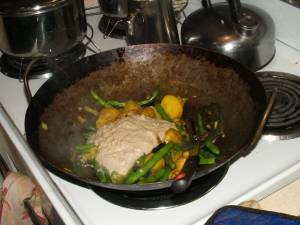 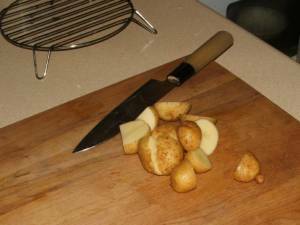 Chop potatoes; wash and trim green beans. 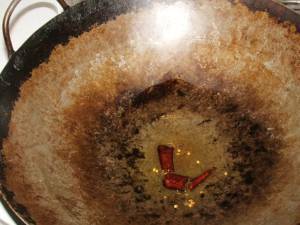 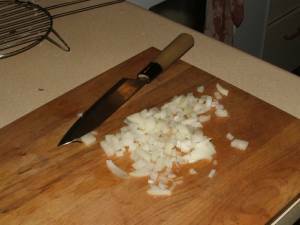 Chop onions; fry whole dried chili in hot oil. 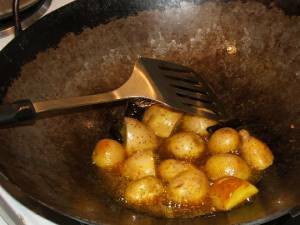 Add potatoes and stirfry for a few moments then add turmeric and stir well. 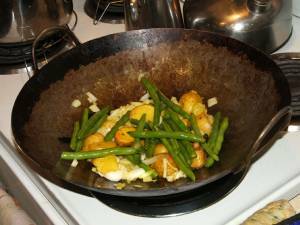 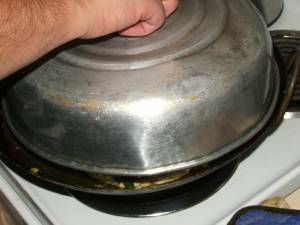 Add onions then green beans; add and stir in pre-soaked posta; cover and simmer over low heat til potatoes are done. 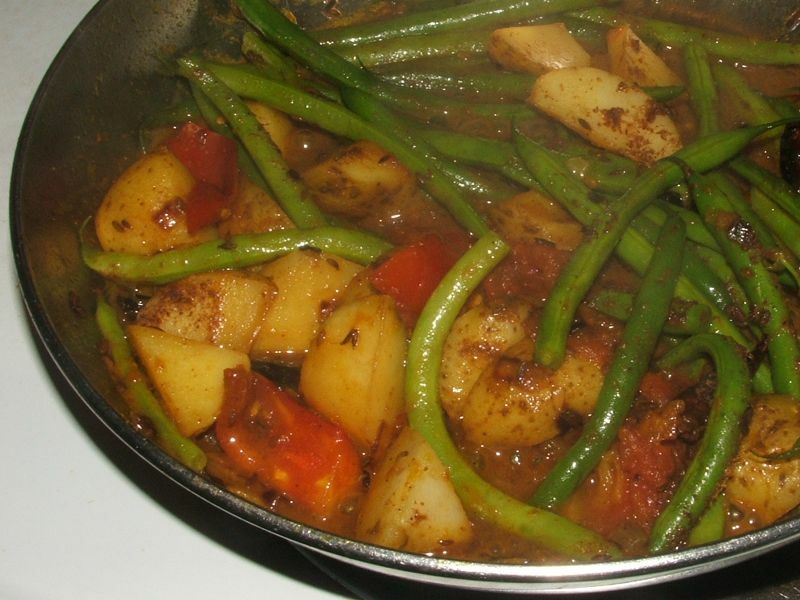 This Punjabi-style dish is made with green beans, potatoes and tomato. 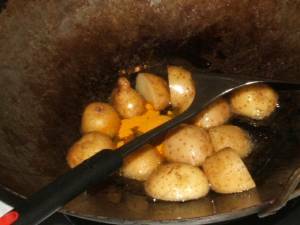 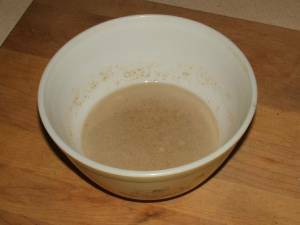 It's very quick to prepare and quite delicious. 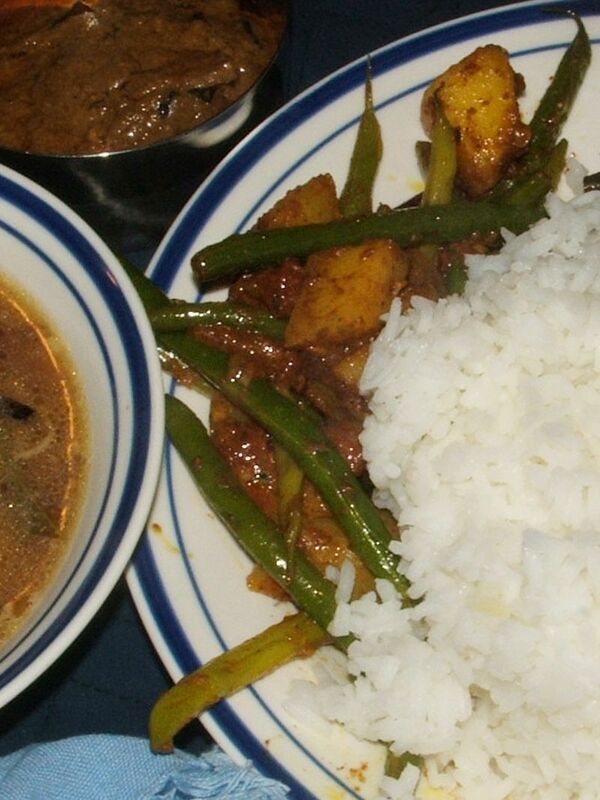 We served it with rice, dahl and shrimp curry. 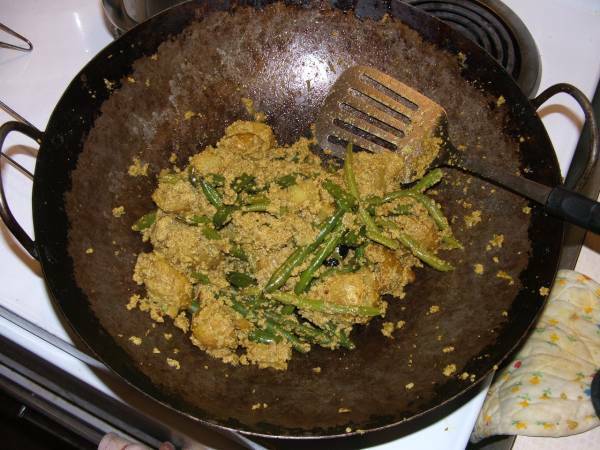 On other occasions, we have decided to be vegetarian and omitted the shrimp curry, switching it for Keralan beets (beet thoran). 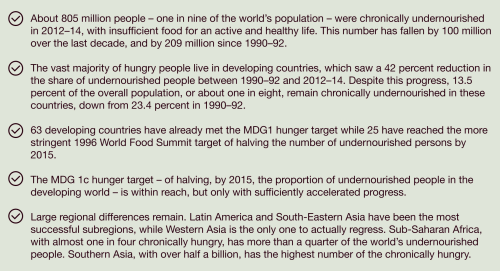 About 805 million people [...] were chronically undernourished in 2013-14 with insufficient food for an active and healthy life. 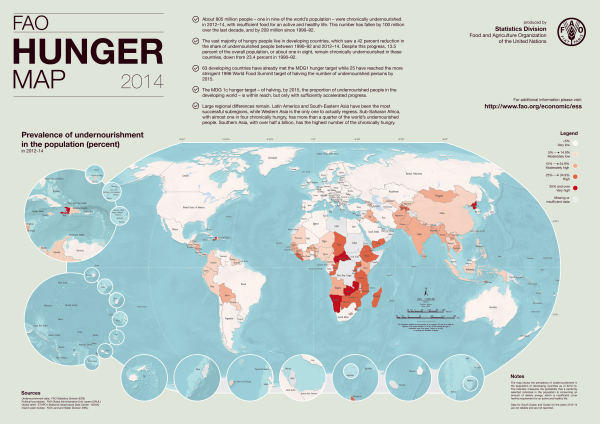 [...] Southern Asia, with over half a billion, has the highest number of the chronically hungry.